(i) Capacity addition of 1,18,537 MW (including 88,537 MW conventional and 30,000 MW renewable) during the 12th Plan, i.e. by 2016-17. As against this, about 70,480 MW from conventional sources has been achieved till 7.12.2015 and about 13,204 MW from renewable sources till 31.10.2015. (ii) Construction of 1,07,440 ckm transmission lines and setting up of 2,82,740 MVA transformation capacity during the 12th Plan, i.e. by 2016-17. As against this, 76,490 ckm of transmission lines and 2,19,730 MVA of transformation capacity have been achieved till November, 2015. (iii) Government of India has taken initiative to prepare State specific Action Plans for providing 24X7 Power For All (PFA) in partnership with the States. 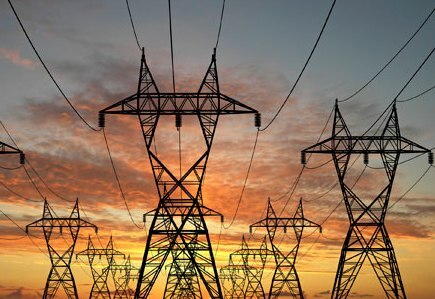 (iv) Two new schemes are being implemented by the Government of India, namely, Deendayal Upadhyaya Gram Jyoti Yojna and Integrated Power Development Scheme for strengthening of sub-transmission and distribution networks and for segregation of agricultural feeders to give adequate and reliable supply and reduce line losses. (v) Promotion of energy conservation, energy efficiency and other demand side management measures. (vi) Central Government has notified a new scheme namely Ujjawal Discom Assurance Yojana (UDAY) on 20.11.2015 for Operational & Financial Turnaround of Discoms. (vii) Expeditious resolution of issues relating to Environmental and forest clearances for facilitating early completion of generation and transmission projects. (viii) Providing support from Power System Development Fund for stranded gas based generation. The power projects under construction which are likely to be ready by the end of 2019 are around 86,363 MW capacity comprising of 72,326 MW from Thermal, 9,737 MW from Hydro and 4,300 MW from Nuclear sources, the Minister added.